With mobile connectivity being one of the fastest expanding elements of technology in Africa, it comes as no surprise that the continent has a number of fast-selling mobile phones. Africa still lacks true Internet access and in most countries mobile users are accessing the Net via their phones. While data is scarce on overall best-selling devices in Africa, IT News Africa took a look at some of the best-selling mobile handsets for the continent and found that while smartphones occupy a large portion, feature phones are just as important for everyday communication as they were years ago. 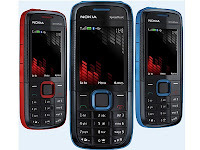 While there are many models available, Nokia’s XpressMusic 5130 is generally regarded as the most successful phone in Africa. The model, manufactured in Romania, experienced an upsurge when it was released in 2009. It features an ARM9 234 MHz CPU, LCD Colour display with a 240 × 320 pixels (QVGA) resolution, and only 30 MB internal memory. The phone has worldwide sales topping 65-million, and is the number two best-selling phone in South Africa and Zambia. Although it is not the most successful mobile handset in Africa, the Samsung E250 is the biggest single model in several markets, including that of South Africa. The model was released in 2006, and at last count, the phone sold over 30-million units worldwide. 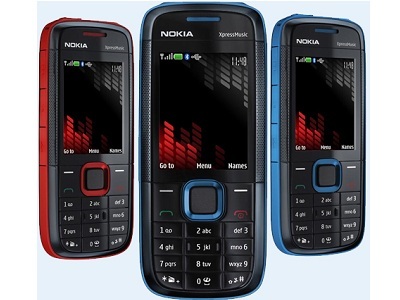 It features an ARM9-230 MHz processor, 10MB memory, VGA camera, 2.0″ display, Bluetooth, MP3 player, and FM radio. Together with the Nokia 2330, the 2700 features very high on browser maker Opera’s list of phones most used with their browser. The quad-band GSM cell phone has a camera, FM radio, bluetooth connectivity and multimedia playback. Running off the Series 40 Nokia operating system, the company recently revealed that it has sold over 1.5 billion S40 devices. Widely considered one of the most robust and most popular phones ever, the Nokia 3310 was released in 2000 and sales have surpassed the 135-million mark worldwide. Replacing the Nokia 3210, the upgrade device features an 84 x 48 pure monochrome display, 115 g battery and includes what were considered rare features for the time – including a calculator, Nokia network monitor, stop watch and a reminder function. One of the most popular features of the phone is its games menu, including the likes of Snake II, Pairs II and Space Impact. Largely unpopular and unknown in South Africa, Huawei’s Ideos 8150 smartphone is one of the best-sellers in East African countries such as Kenya. According to research firm World Wide Worx, the phone sold over 350 000 units in Kenya alone. It features a 2.8-inch capacitive touchscreen, 3.16 megapixel camera, Bluetooth connectivity, built-in GPS/AGPS. It can accomodate a microSD slot and runs on a Qualcomm MSM7225 528 MHz ARM 11 CPU with 256 MB RAM. To no surprise, a BlackBerry model is one of the best-selling single smartphone models on the continent, with more than a million units sold in Nigeria and South Africa. Manufactured by Research in Motion (RIM) since 2009, it follows up on the BlackBerry Pearl and Curve 8300 models. It was also the first BlackBerry model to introduce the new trackpad as opposed to the trackball from previous models. It features a 320 x 240 pixel 16-bit display, uses a 512 MHz CPU with 256 MB internal memory.